I received a few lessons to review. Things are picking up now that the holidays are over. I have a couple of new students as well. This tip is a follow up to the past two week. 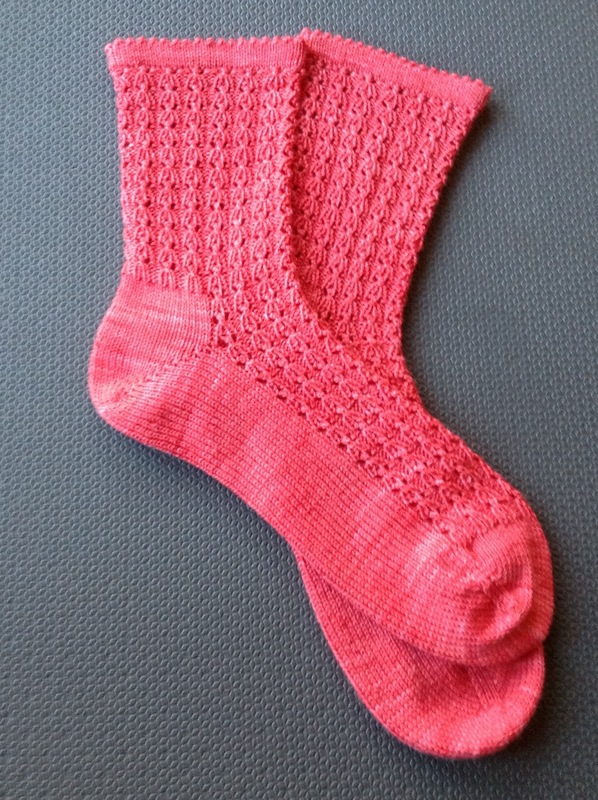 I decided to put a picot cuff on the Baby Bee Socks. When you have worked from the bottom to the top, as for sock cuffs or for waist bands on skirts, you have to make sure the cuff or waistband is stretchy enough. If you bind this edge off and then baste it in place, it probably will be too tight (I learned this the hard way on a skirt.) In the Fashion Framework series which will be in the Spring issue of Cast On, I used a partial grafting technique to close the hem. In this technique you work the hem with a fold line and when the inside hem is long enough, leave the stitches live on the needle. Cut the yarn leaving a very long tail and thread it onto a tapestry needle. Fold the hem over. To begin, insert the tapestry needle purlwise into the first stitch on the knitting needle, leaving it on the knitting needle. *Taking care to line up this stitch with the corresponding stitch on the RS of the work, insert the tapestry needle completely under this stitch. Pull the yarn tightly. 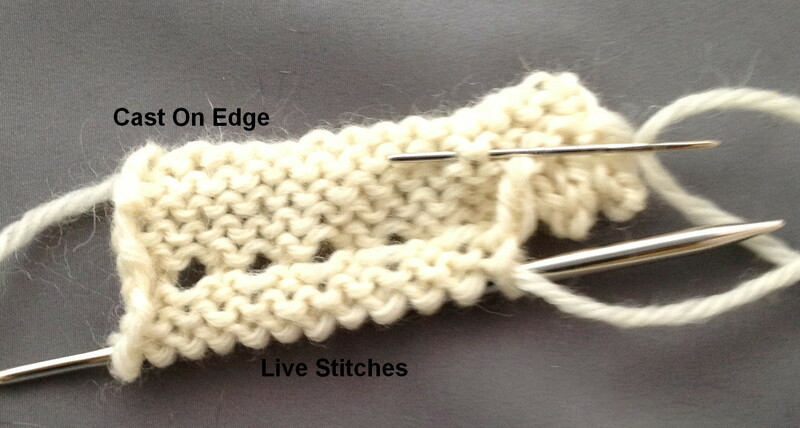 Insert the needle knitwise into the stitch on knitting needle and drop it from the needle. 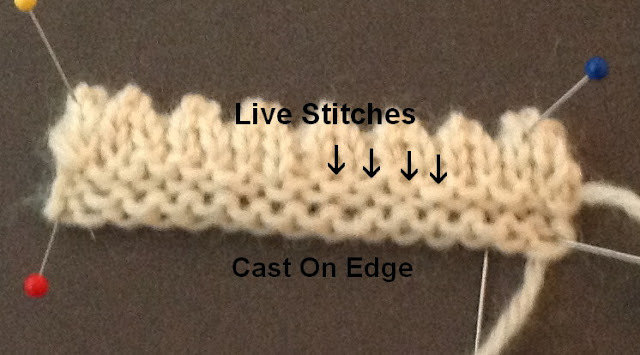 Insert the tapestry needle purlwise into the next stitch on the knitting needle, leaving it on the needle. Repeat from the asterisk. 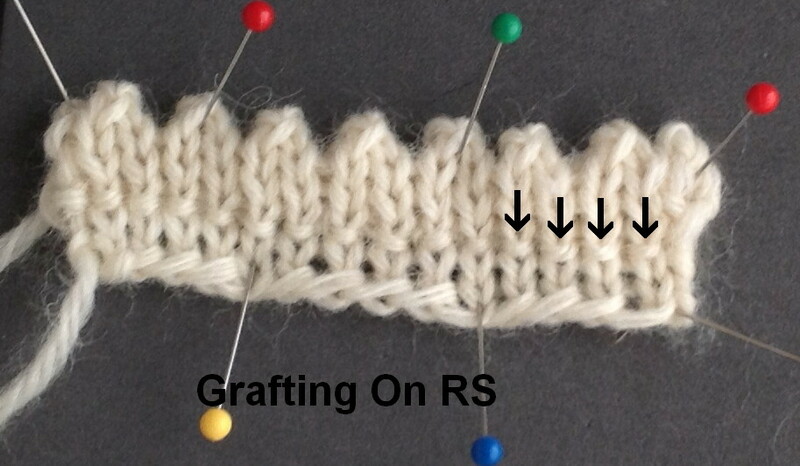 On the RS, the grafting is visible. The photograph shows the yarn which surrounds the stitches. 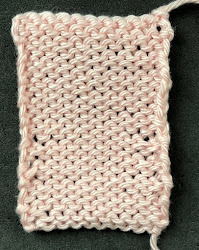 On the WS, the grafting blends in with the reverse stockinette stitches. Since there is a basketball game on Saturday, Salon will be on Sunday from 1:30-3:30. I broke all speed records to get these socks done. The stitch pattern seamed to take forever (especially compared to the stockinette dress and peplum blouse!) Bobbles really take much longer. These bobbles are really easy but they are still bobbles. I ran the stitch pattern past Mary (her husband is the king of beekeepers and she gave her approval.) Here is a close up of the pattern. 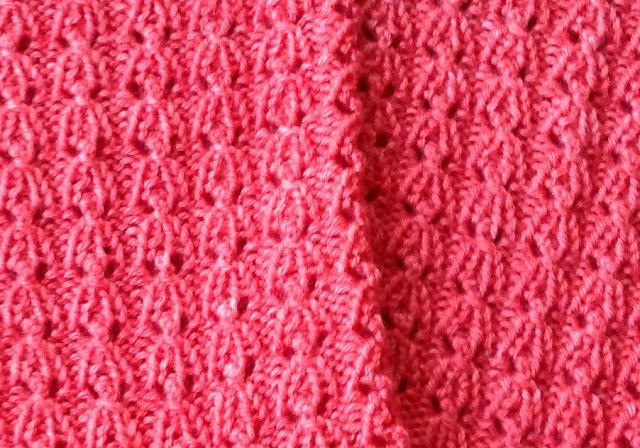 Since the pattern multiple is 5 I couldn't really rib the top so I decided to do a picot hem. I think they turned out rather cute. I am getting a break from Cast On knitting for a few weeks. I am finishing up presents. 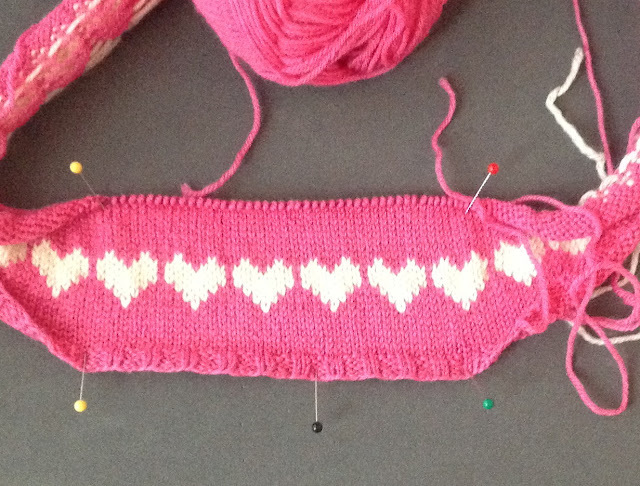 I am doing a baby outfit for a friend's first grandchild. (You can probably tell it is a granddaughter!) It is going to be a full skirt and a matching vest.